The last days of the winter are here, and if you haven’t already taken advantage of the magic of the season, now is the time to do it. Fill your weekends and downtime with snowy family time. Or, cozy up together and get close. Cold weather shouldn’t limit your family fun. But, if you are at a loss for ideas of what to do with your kids when the temps drop, not to worry—we’ve got a number of ideas that will keep you busy until swimsuit season arrives. Nothing makes for more exhilarating childhood memories than a day on the slopes. The Pacific Northwest is packed with great ski and snowboarding spots. Places to check out include Mt. Hood, which is less than an hour away from Portland. Mt. Bachelor is just outside of Bend, in Central Oregon. Mt. Spokane, Silver Mountain Ski Resort & Schweitzer Ski Resort are all close to Spokane. If your kids have never been on the slopes, most resorts offer lessons. You can drop them off in the morning and they’ll be joining you on the bunny hill by noon! Skiing and snowboarding offer families a great way to stay active throughout the entire winter season. There’s no getting away from the fact that downhill skiing and snowboarding cost a pretty penny. Between rentals and lift tickets, you’re looking at an expensive outing. Cross-country skiing, on the other hand, is quite affordable. Rentals are usually between $12 and $20, and there are a slew of free places with tracks that only require a park pass at most. 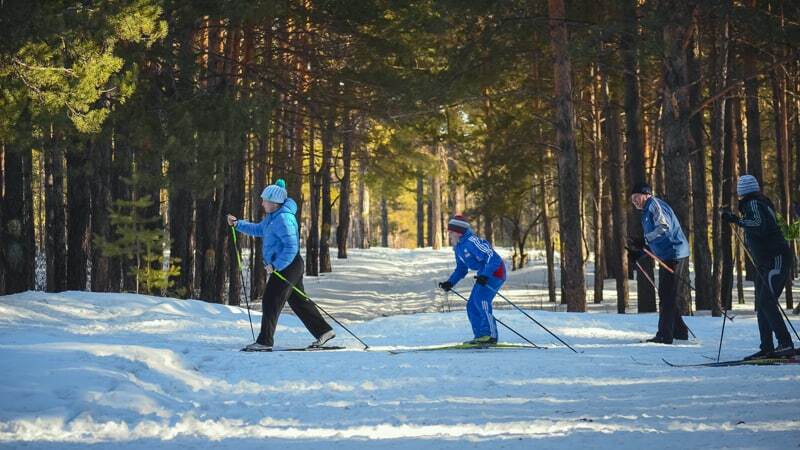 Cross-country skiing is perfect for families with younger children. Kid’s as young as five-years-old are capable of getting up on skis. It’s also a great way to prime the younger set for eventually hitting the slopes. Snowshoeing gives families the ability to access the backcountry, even when there are giant drifts of snow. National parks, like Mt. Rainier National Park, often offer ranger-guided snowshoe experiences, allowing families to be led into remote areas without having to be concerned about getting lost. Snowshoeing is great for adults and children who love to play in the snow but aren’t into learning to balance on skis. 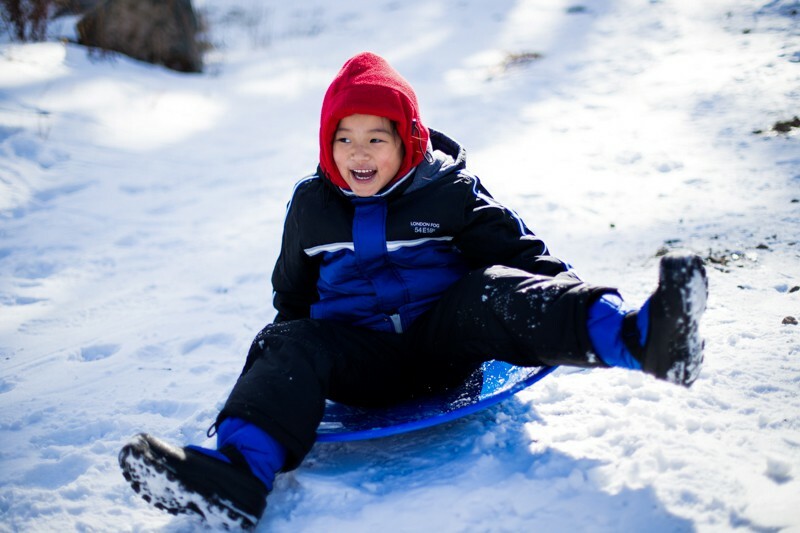 What kid—big or small—doesn’t love to sled. Many ski areas have designated sledding spots. Some require a pass, others don’t. But you can sled almost anywhere snow and slopes are to be found. Pack some hot cocoa and lots of snacks, and you can keep the whole family smiling and squealing all day long. Best of all, sleds are super affordable to buy keeping your winter entertainment both awesome and cheap. Hitting the rink is a great way to build balance and leg muscles for tennis season. And you’ll find rinks located both inside and out. Portland has an indoor rink at Lloyd Center Mall. 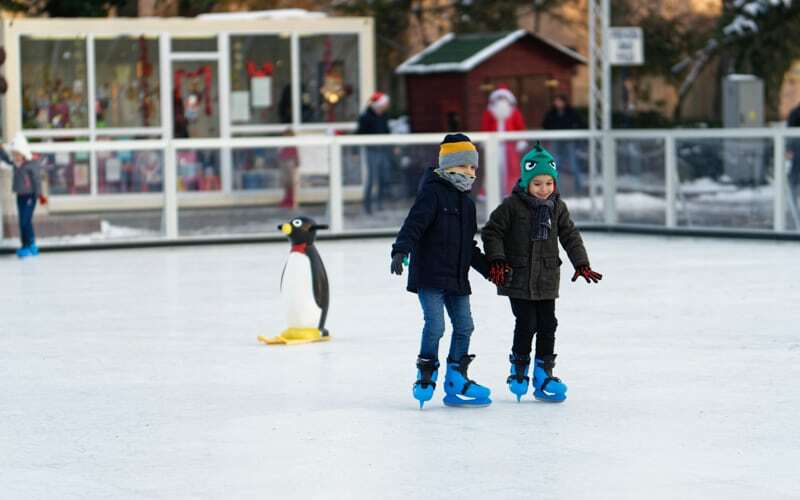 And if you are in Spokane you’ll find ice skating options at the Skate Ribbon and Sky Ride facilities and the Riverfront Park. Your kids are sure to love gliding across the ice for hours on end. And, skating is a wonderful romantic activity for couples (just something to think about come Valentine’s Day). If your family just isn’t up for going out, heat up some cocoa, make a hot stew and then pull out the board games. Nothing brings a family together like a little healthy competition. If it can’t be on the court, why not take it to the table. From cards to monopoly to that weird game with the plastic mouthpiece you have to try to talk past, there are a multitude of options that are guaranteed to keep your tribe entertained. Every season has its challenges and gifts. Don’t waste these final winter days. Take advantage of them with some healthy family snow play, or get your laughs in around the table. It’s a win/win either way.